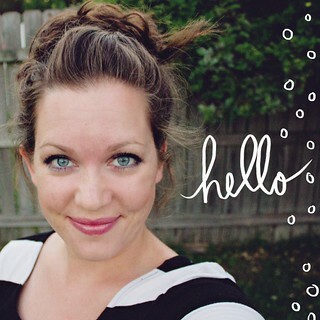 It’s back to school time this time of year, so the Michaels Makers Challenge was to create something with that in mind. I first thought of some kind of jewelry for kids or teachers and then narrowed it down to bracelets for teachers (or students even). 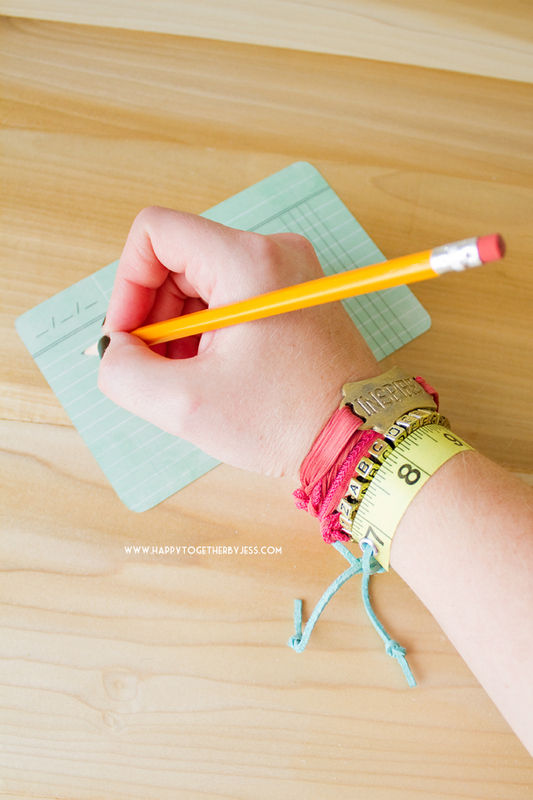 I thought a ruler bracelet would be cool. Then when I went walking around the store I saw the alphabet beads and the inspire charm and knew they needed to be bracelets as well. With there being such a difference in wrist sizes, I decided to stick with bracelets that could work on many sizes. Elastic, wrap around, and resizable. 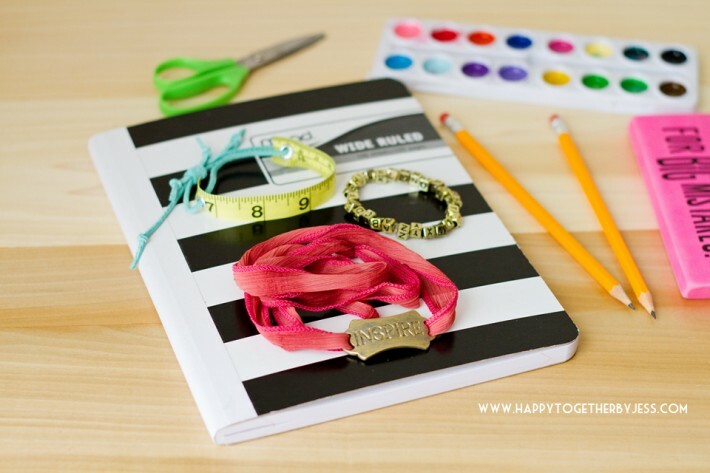 The above picture is all the supplies you need for all three of these bracelets. They are fairly simple and would be great to have kids help to make. 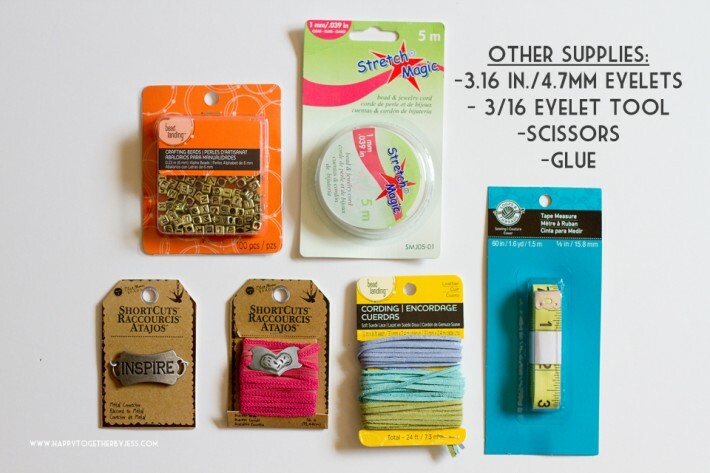 All of the items pictures can be found in the jewelry section (or Shop Beading and Jewelry Making Supplies at Michaels online), except the measuring tape. That along with the eyelets and scissors can be found in the sewing section. Glue can be found in a few areas, depending on which kind you want to use. I used fabric glue, but any kind of glue is fine (except hot glue, as it might melt the elastic). 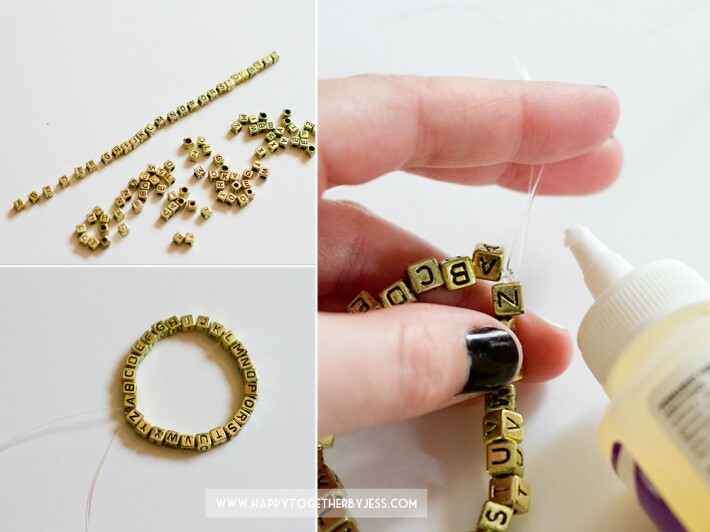 The alphabet bracelet is really easy. Line up your beads in alphabetical order. I just did a-z, but you could start the alphabet over to make it a little bigger. The bracelet will stretch, but some more beads wouldn’t hurt at all. Pre-stretch a 15 inch piece of the stretch magic clear elastic. Then place the beads on. Once all on, knot the ends together three times. Add a dab of glue to the knot. Lastly, once the glue is dry, trim off the excess elastic. I really liked using the gold alphabet beads because it seemed a bit more grown up and refined. 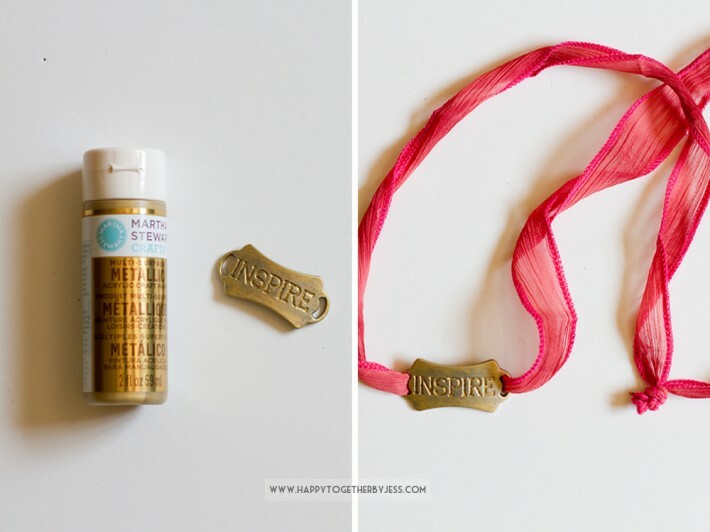 The inspire bracelet is another easy one. 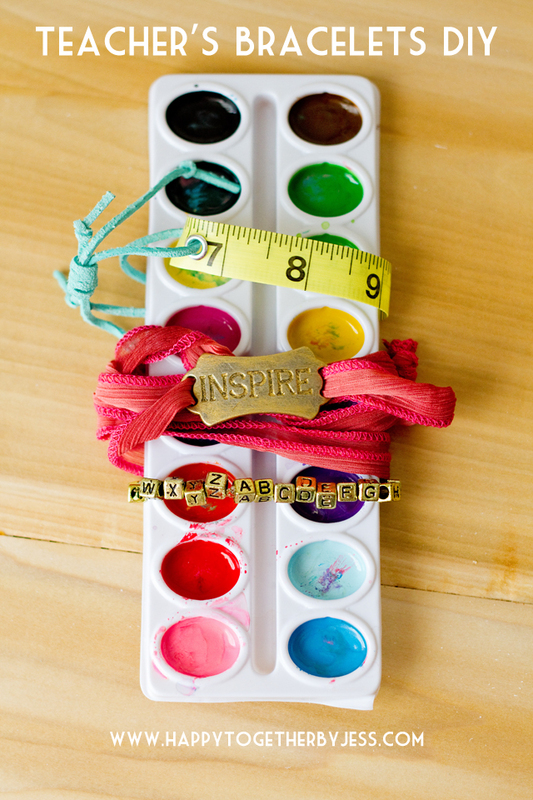 You need the inspire charm and wrap around ribbon bracelet. This was originally silver, so I painted the top gold to match the gold alphabet beads. I used just a little amount of paint and made sure it didn’t pool in the letters. Then I wiped my brush clean and went over the paint again in a few spots so the silver underneath ever so slightly shown through. Once dry, I simply laced the ribbon through and tied a knot at the end. The recipient can retie the knot if needed for it to fit better. This simply wraps around ones wrist until it’s tight enough. 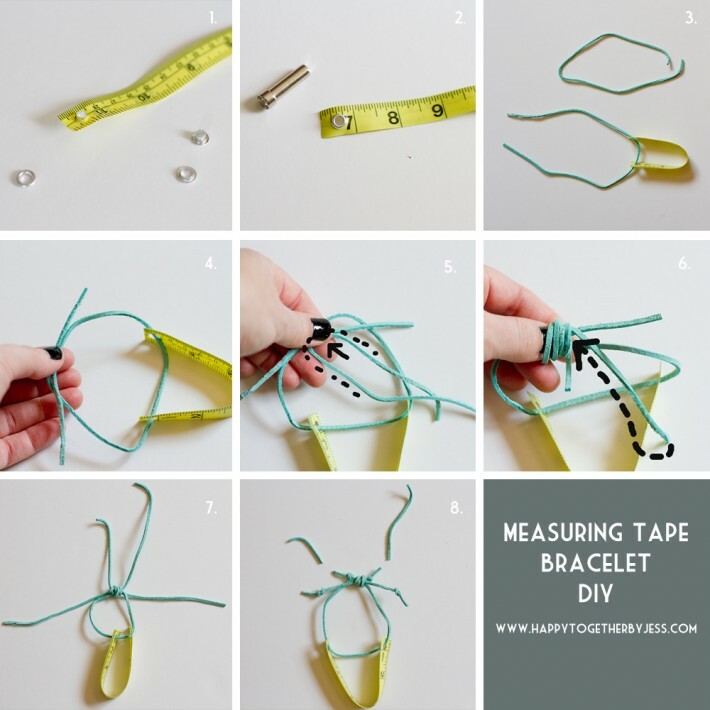 Lastly, the measuring tape bracelet requires a little bit more work but is still an easy bracelet. I initially didn’t use the eyelets, but discovered the stress from the straps pulling in the holes would warp and possible tear the measuring tape. So I made another and added the eyelets. It’s much more secure. Cut a piece of measuring tape 6″ long. Then make really small holes on both ends to stick the eyelet in. 1. Place the taller piece through the front of the tape. Then place the smaller piece on top of it on the backside. 2. Next place your eyelet tool on top of the back and hammer together. You won’t need to be too hard, but hard enough to close the two pieces together. 3. Cut a 12″ and a 16″ piece of cording. Loop the 12″ piece through the eyelets. 4. Cross the ends of the cording over each other and hold in place. 5. Loop the 16″ piece of cording in half and place the folded center on top of the 12″ crossed cording. 6. Take one end of 16″ piece and wrap around all cording pieces 4 times. You want to do it loose enough to fit the cording through, kind of like making a tunnel for it. Then take the same end of the piece you wrapped around and pull through the four loops. 7. Pull both ends of the 16″ piece until tight but not too tight that you can’t pull the 12″ pieces through to change the length. 8. Lastly, knot both ends of the 12″ cording. Knot the 16″ ends as well, but as close to the loops as possible. Trim the ends of that piece only. Now the two 12″ ends can be pulled to make adjustments in the sizing as needed. Teachers are so amazing. They do so much for so many children. Any time you can do something to show them you appreciate them, do so. Even if it’s the littlest thing. 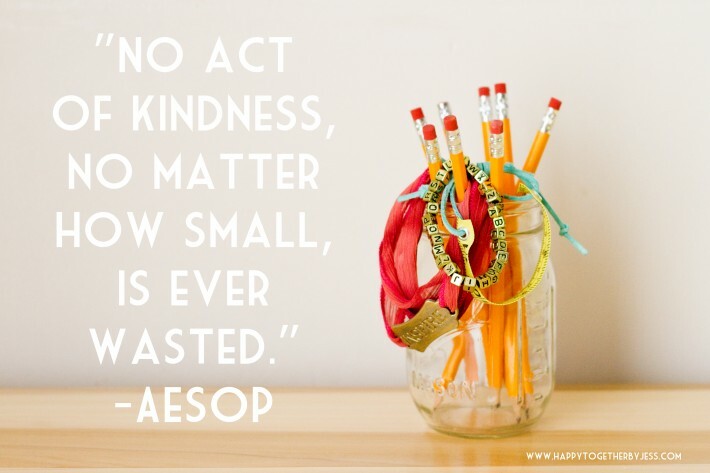 You never know what one small act of kindness can mean to someone. Check out what everyone else made below and Michaels’ Back to School Pinterest Board to find more fun and creative project ideas to kick the school year off right! Darling bracelets. Such a great gift idea!